Rep. Jerrold Nadler (D-N.Y.), chairman of the House Judiciary Committee, ahead of a hearing on Capitol Hill in Washington, Feb. 6, 2019. Nadler said March 3 that he planned to request documents from more than 60 people with ties to President Donald Trump, his administration and his businesses, including the president’s eldest son, Donald Trump Jr., as part of the committee’s investigation of the president. WASHINGTON — The chairman of the House Judiciary Committee delivered a flurry of document demands to the executive branch and the broader Trump world Monday that detailed the breadth and ambition of a new investigation into possible obstruction of justice, corruption and abuse of power by President Donald Trump and his administration. 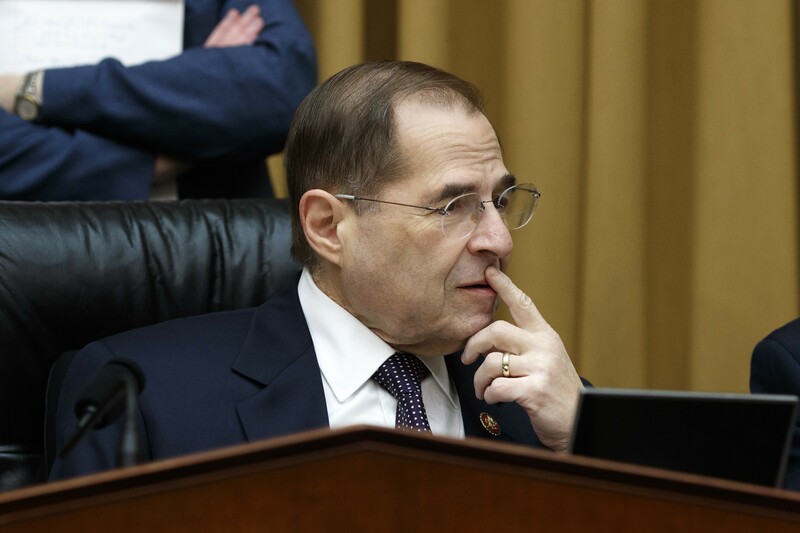 The requests from Rep. Jerrold Nadler, D-N.Y., the Judiciary Committee chairman, opened perhaps the most perilous front to date for Trump — an inquiry that could conceivably form the basis of a future impeachment proceeding. Nadler was explicit Monday in saying the House is no longer content to await the findings of special counsel Robert Mueller and will delve into many of the same issues, but with a different standard of evidence not wedded to a criminal indictment. The letters from Nadler, dated March 4, went to 81 agencies, individuals and other entities tied to the president. They included the Trump Organization, the Trump campaign, the Trump Foundation, the presidential inaugural committee and the White House. The Justice Department and the FBI, which have collected substantial evidence on Trump’s actions toward federal investigators, were also recipients. Letters also went out to dozens of the president’s closest family members and aides who counseled him as he sought to suppress the story of a pornographic film actress, Stormy Daniels, and later as he launched attacks against federal investigations into him and his associates, the press and the federal judiciary. As a part of the inquiry, the committee will also investigate accusations of corruption, including possible violations of campaign finance law, the Constitution’s ban on foreign emoluments and the use of office for personal gain. In a statement, Nadler said it was imperative to “begin building the public record” of what he has contended are Trump’s abuses. He acknowledged that his work could replicate that of Mueller, who is also studying whether Trump obstructed justice, as well as federal prosecutors in New York. But those are criminal cases, and aides to the committee noted that Congress, as it examines potential “high crimes and misdemeanors,” has a different threshold for wrongdoing. Speaking to reporters at the White House, Trump signaled he would cooperate with the inquiry and repeated that there was “no collusion” between his campaign and Russia.